We all know that the largest food group in a low-carb diet should be the non starchy vegetables (excluding the starchy corn and potatoes). At least half of your plate should include them. We also need to add some protein, but we don’t have to overdo it. The National Academy of Sciences recommends an upper limit of 35% of calories as protein. Grain-based carbs are to be kept as a minimum but we can still enjoy them if our individual carb allowance accommodates them. 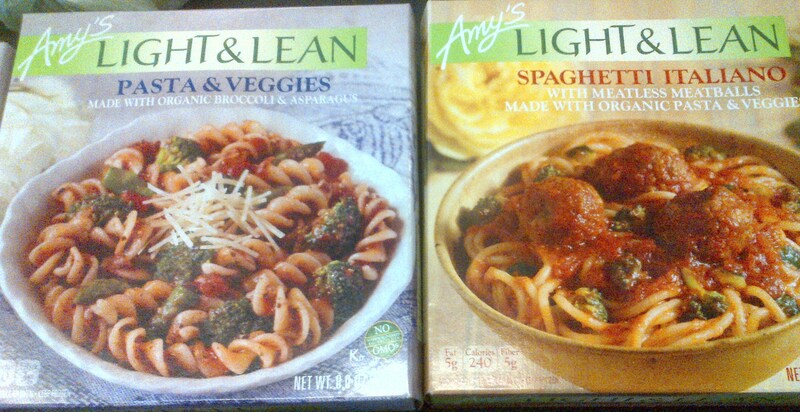 A friend of mine, who is following a diabetic meal plan, told me about two of Amy’s Light & Lean Meals: the Spaghetti Italiano Bowl and the Pasta & Veggies. The pasta in the Spaghetti Italiano contains organic semolina. The pastas and breads that contain whole-durum semolina provide you with the nutritional benefits of other whole grains and may also protect your immune system. 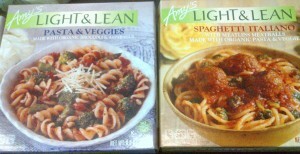 Our family just LOVES these two pastas meals! I especially love the fact that the meatless meatballs are made of lentils, quinoa and tofu – not from the highly processed texturized vegetable protein (TVP) that is the industry standard! So, check out Amy’s products. Not all of them will fit into your lower carb program but the convenience and healthy meals that do are worth stocking up on! Amy’s Organic Spicy Chili is just 26 carbs for a whole cup! Try it on a low carb bun like a Schmidt Old Tyme Sandwich Roll. Find your ideal carb allowance on the Carb Light Living™ Get Started Link!